My Recommendation: A fun Bejeweled style RPG, but you need a lot of patience or a lot of money to enjoy the game. 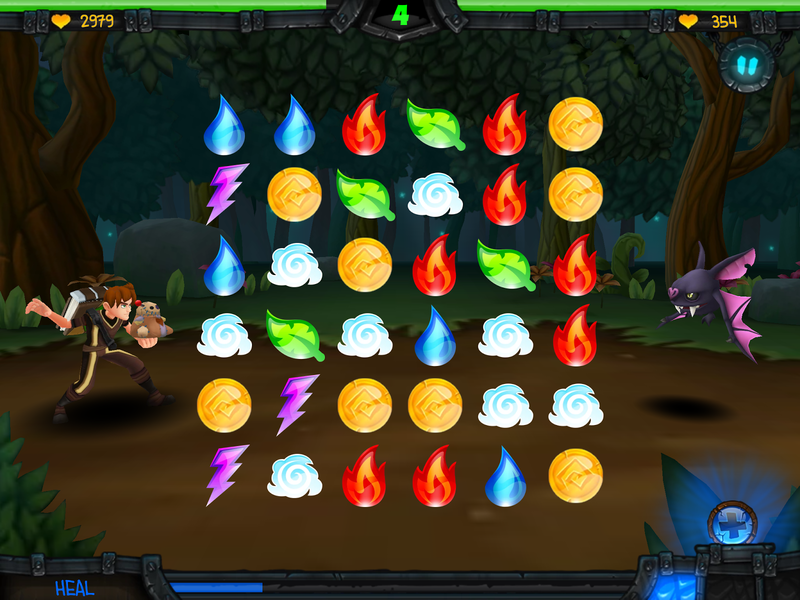 Spellfall is a gem matching game with strong RPG elements outside of matches, skills to deploy in matches, and a fairly interesting system for equipping various buffs and enhancements. The game was developed by Backflip Studios, who brought Paper Toss into the world. The gem matching in this game does quite a bit to differentiate itself from the rest of the genre. You're able to switch any two gems in the field (assuming they aren't blocked or otherwise unusable by enemy spells). 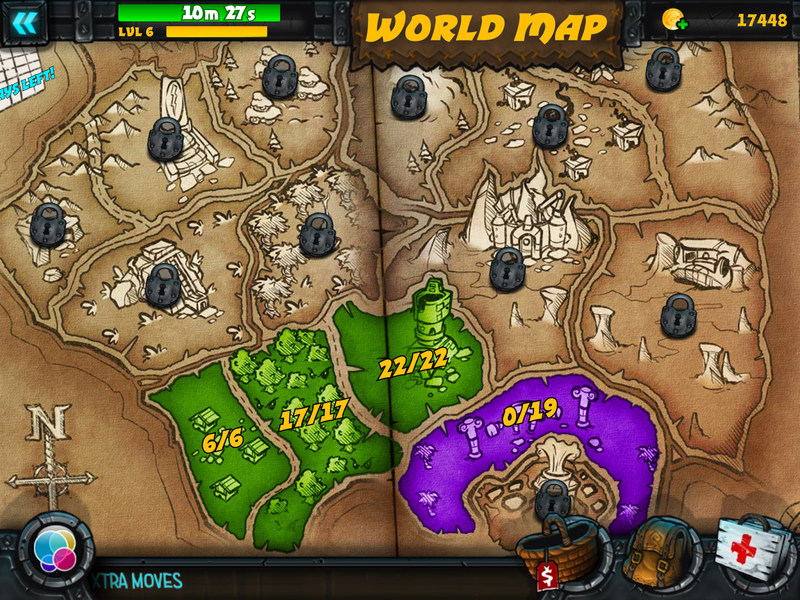 This greatly opens up the strategy of the game. Additionally, the effect of getting 4 in a row or a Plus formation is quite powerful and moderately unique, so that brightens the gameplay. In general, I enjoy the strategy of trying to plan the Plus formations to have heavy hits. Plus, who doesn't want to kill bats? I also really enjoy the loot system. You only equip two main items, a weapon and an armor, but those items have a certain number of enhancement slots (which you must buy to unlock for each weapon and armor). The enhancements range from healing spells to damage modifiers, including some that return some percentage of your damage back as health. These enhancements (called runes) level up slowly throughout the game when equipped and they offer a nice extra level of RPG style elements to the game. In my current loadout, I've equipped almost entirely healing spells and drain runes (the ones that return damage as health) so I get roughly 1/3 of my damage back as health, it's fantastic. That's right, he fights using a stuffed doll. What of it? However, the game is harshly stunted by the freemium side of it. I like the energy system in the game, which is just your health bar, so there's no hard stop for when you cannot play. However, if your health is zero, you very effectively can't do anything so that kind of counts as a hard stop (especially when numerous enemies have random "surprise attacks", meaning they attack first in the battle). With lots of drain runes and healing spells, this can be counteracted by the fact that I rarely get particularly low on health, but early on the game definitely dragged along due to my need to health recharges. And everything is way too expensive in real money. A revive after falling in battle is $0.99. One revive! And the item chests range from $0.99 to about $7.99, I think, and those include random weapons or equipment that may or may not even be useful to you. And in the in-game currency, it takes forever to be able to afford some items. Frequently, unlocking the final rune spot in an item could cost 6 figures (or close to it) and each battle gives you about 1000 coins where I am in the game (when I'm lucky), so getting to 6 figures takes forever no matter where in the game you are. Even with conquered territories yielding gold, they get recaptured frequently. Come on, I have gold to harvest! Ultimately, where I am now, I'm not having to slow down much. I do still take a few breaks every now and then to recharge after a tough battle, but I haven't died in the last hundred battles or so, and I'm doing pretty well with my drain. But the game really is too focused on trying to make you buy revives or pony up the dough to buy a nice item that could ultimately be pretty worthless in no time. I like the gameplay, I like a lot of the mechanics, but the developers really need to back off from the Freemium pressure model. If you're scared away but a lot of places to accidentally spend money, or if you're just plain annoyed by pay-to-win models, stay away from this game. 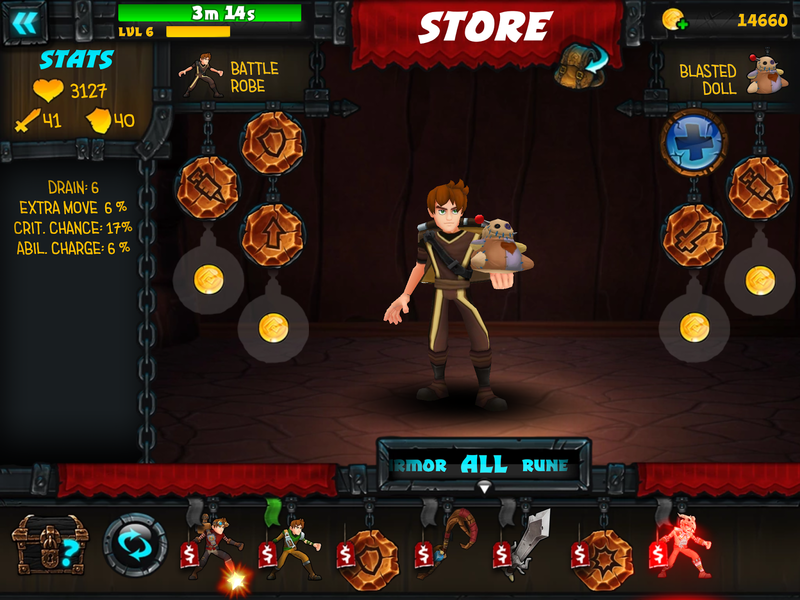 It's a free app, but the in-app purchases are far too troublesome, so the money value score is low. Let me know what you think of Spellfall!